A Limited Liability Company, or an LLC, is a relatively new business structure, that first appeared in Wyoming in 1977, and is now recognized by every State's statute and the IRS. An LLC is neither a partnership nor a corporation, but a distinct type of business structure that offers an alternative to those two traditional entities by combining the corporate advantages of limited liability with the advantages of pass-through taxation usually associated with partnerships. Limited Liability Companies are becoming more and more popular, and it is easy to see why. In addition to combining the best features of partnerships and corporations, LLCs avoid the main disadvantages of both of those business structures. Limited liability companies are much more flexible and require less ongoing paperwork than corporations to maintain them, while avoiding the dangers of personal liability that come with the partnership. Some examples of famous LLCs may surprise you - both Amazon and Chrysler are organized as limited liability companies. Owners of an LLC are called "members". Since most states do not restrict ownership, members may be individuals, corporations, and other LLCs - domestic or foreign. LLCs can generally have an unlimited number of members. Most states also permit, so-called, "single member" LLCs, those having only one owner. Members in an LLC are analogous to partners in a partnership or shareholders in a corporation, depending on how the LLC is managed. A member will more closely resemble a shareholder if an LLC chooses to be managed by a manager or several managers, because then those members who are not managers will not participate in day-to-day management of the company. If an LLC does not choose to utilize managers, then the members will closely resemble partners because they will have a direct say in the decision-making of the company. An LLC owner by more than one individual or entity is called a Multiple-Member LLC. All states also permit Single-Member LLCs - those having only one owner (member). By default, a Single-Member LLC is taxed as a sole proprietorship (in other words, treated as "disregarded entity" by the IRS), while a Multiple-Member LLC by default is taxed as a partnership. 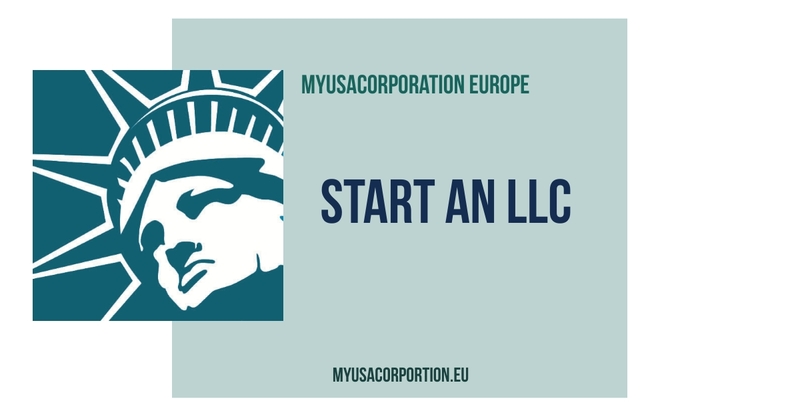 LLC is a relatively new type of business structure that combines the best features of the corporation with those of the sole proprietorship or partnership. An LLC has many advantages and benefits which cannot be enjoyed together in any other type of business. An LLC is an entity separate from its owners. Being a legally distinct entity, the personal assets of each owner (such as a home, a car or a personal bank account) are not reachable by business creditors. An LLC member's liability is generally limited to the amount of money that person has invested in the LLC. Thus, LLC members are offered the same limited liability protection as the shareholders in a corporation. What Is Limited Liability and Why It Is Important? LLCs allow for pass-through taxation, and that advantage is one of the biggest reasons for the recent popularity of the LLCs. Pass-through taxation means that earnings of an LLC are taxed only once, basically being treated like the earnings from a partnership, a sole proprietorship or an S-Corporation. While neither partnerships nor sole proprietorships also offer limited liability protection, an S-Corporation comes the closest to an LLC. However, an S-Corporation is a much more restrictive business structure that is harder to maintain. With an LLC it is easy to sell the ownership interests to third parties without disrupting the continued operation of the business. As a comparison, selling interests in a sole proprietorship or general partnership requires much more time and effort. An owner must individually transfer assets, business licenses, bank accounts, permits and other legal documentation. Ownership transfers in S-Corporations are also burdened with many restrictions. LLCs have no restriction on the number or types of owners. By comparison, S-Corporations cannot have more than 100 stockholders, and each must be a resident or a citizen of the United States. None of these restrictions apply to an LLC. LLCs allow for many ways to raise capital. An LLC can admit new members by selling membership interests or even create a new class of members with different voting or profit-sharing characteristics. As a registered LLC, a business will enjoy legitimacy and greater credibility when dealing with other companies, banks and potential partners or investors than would, for example, a sole proprietor. An LLC is recognized as a legitimate company and not as an individual engaging in business. Like general partnerships, LLCs are free to establish any organizational structure agreed upon by the members. Thus, profit interests may be separated from voting interests. This offers the owners the ultimate flexibility to separate or combine the interests of the investors into the company and of the people actually running the day-to-day operations. Forming an LLC, just like maintaining it, is rather simple. After you decide to form an LLC, Articles of Organization must be filed with the state of your choosing, and initial fees must be paid. Once the Articles of Organization are filed (or even prior to that event), the owners of an LLC should have an organizational meeting where an Operating Agreement is adopted, interest certificates, if any, are distributed and other preliminary matters are discussed. An LLC Kit includes all of the information and paperwork to make this process easier. Newspaper Publication: In addition to the simple procedures above, three states require an announcement of the fact that an LLC has been formed to be published in a newspaper or several newspapers. The states that require publication for LLCs are New York, Arizona and Nebraska. Federal Tax ID Number: A Federal Tax Identification Number, also known as an Employer Identification Number or EIN, is required for an LLC to obtain a bank account and pay federal taxes. An EIN to an LLC is like a social security number to a person. It is the number the IRS uses to identify the business, and it must be included on all of the tax filings the business will make in its lifetime. If you now operate your business as a sole proprietorship or a partnership and are now looking to form an LLC, you must obtain a new EIN for the new entity. Single-Member LLCs: The IRS does allow Single-Member LLCs to qualify for pass-through tax treatment. However, taxation of one person LLCs at the state level may be different. Consider consulting an accountant to find out more.